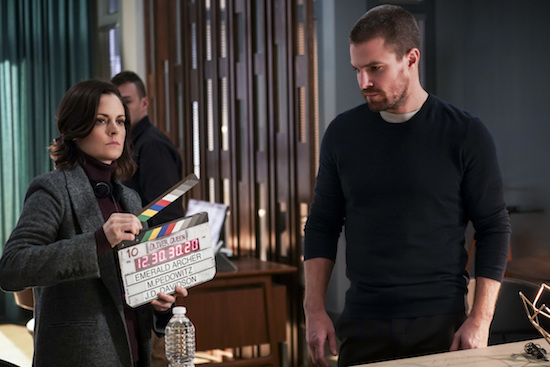 Arrow — “Emerald Archer” — Image Number: AR712A_0073b — Pictured (L-R): Jessica Heafey as Documentarian and Stephen Amell as Oliver Queen/Green Arrow — Photo: Shane Harvey/The CW — ÃÂ© 2019 The CW Network, LLC. All Rights Reserved. 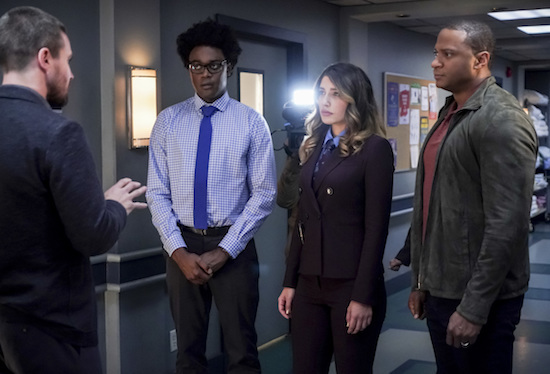 When ARROW celebrates its 150th episode on Monday, February 4, they’ll be paying homage to The CW president Mark Pedowitz.